When I was 18…well, I wasn’t releasing debut album. Wait, let me qualify that. Debut “Succesful” albums. That is pretty awesome. For the top-24 this year I knew that McCreery would end up winning the entire competition. Why did I think this? American Idol has an incredibly strong country base. Seriously, solid country stars can fly through the show with ease. McCreery not only has a true country croon, but also he is young and respectable. Big, big help. At the end, the final two contestants were country singers and this really came to no surprise to people who have been watching the show for a while. McCreery is insanely talented. Yes, for some, his act became old quickly. I mean, he could only sing country, right? Yes. But why is this an issue? He has a niche. He is perfectly comfortable in said niche. His first (and all remaining albums) will be country (with a probable pop twist). That is what album number one will be. I’ll make this prediction now. I think that McCreery will have the longest and most succesful career among all idol winners. What the heck does that album title mean? Good question. Your guess is as good as mine. 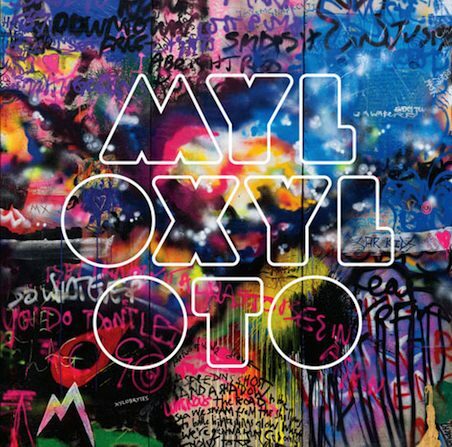 Coldplay will release Mylo Xyloto on Oct. 25, their official full-length follow-up to 2008’s Viva La Vida, which both had an understandable name and sold 2.8 million units. Yeah, nbd. Despite the rap that Coldplay gets, they are a hugely popular band and their piano-based rock is enjoyable. The band released the album’s first single “Every Teardrop is a Waterfall,” in June. On Sept. 12 the band will release their second single “September” to the awaiting public. Yeah, September in September. I’m looking forward to the new release, even moreso now because the title is so enigmatic. Coldplay knows what they are doing and if the album has similar fire power to Viva La Vida it will meet with tremendous success. I’m also curious. Chris Martin has stated that the album does not have a specific genre and while that is pretty consistent with his dislike for pigeon-holing Coldplay’s music, it is still worth mentioning because last time fans were told to expect the unexpected, the band released an album that oozed with fluid sounds and eccentric rhythms. Alright, this is pretty awesome. Billboard had their Summer Blowout Party featuring bands like LMFAO and Swizz Beatz. That’s not the awesome part. I mean I’m sure the concert was cool, but the way that people got into the concert is even cooler. ShowClix, a company founded by Joshua Dziabiak, is attempting to revolutionize the way that people get into shows. Do you lose papers easily and sometimes misplace tickets? Well, with ShowClix, everything is on your phone. That’s right, after you purchase your tickets they are sent to your phone via text message. When you get to the gate, you present the text message with your ticket and an attendant uses a device to scan it. Deal done. You go and enjoy your show and the garbages at the venue are not full with ripped up tickets (an environmentally friendly option). That’s how people who went to Billboard’s Summer Blowout displayed their tickets. 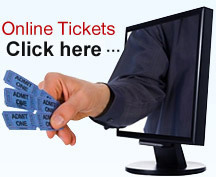 It takes electronic ticketing to a new level. I think this is great. Even if this is applied as another delivery option, it can save a lot of paper and frantic minutes searching for those damn tickets before you leave for the show. I can foresee this emerging as a premier ticketing option in the future. What do you think? ← The Andes are Falling!